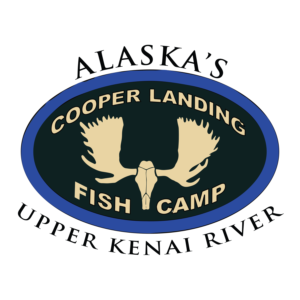 Cooper Landing Fish Camp offers expertly guided fishing trips on the Upper Kenai River. Choose between a half day, full day or canyon trip for sockeye salmon, world class rainbow trout and dolly varden. Each drift boat seats up to four fishermen plus the guide. Please contact us for current rates and availability. Whether you are fishing the upper or lower Kenai River, or the saltwater out of Seward or Homer, we are centrally located in Cooper Landing on the Kenai Peninsula making all of these locations easily accessible. If you are not a fisherman, there are hiking and biking trails in the Chugach National Forest, scenic float trips and kayaking on Kenai Lake. We are more than happy to provide suggestions to make your Alaskan vacation unforgettable. Need to make an update to your listing? Submit updated information here. Please address questions relating to the update of your membership listing to info@cooperlandingchamber.com. Thank you!